Pattern maker is really a smart tool to create pattern from an image or drawing. 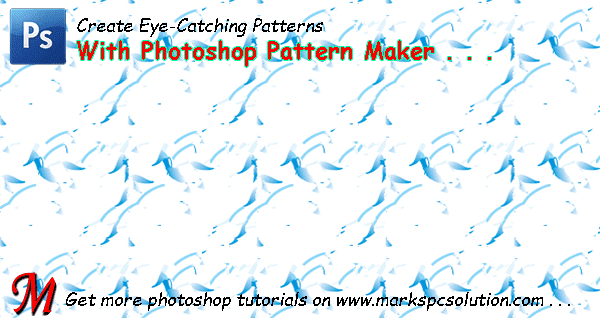 In this post, I'm gonna tell you about Photoshop Pattern Maker. After completing this lesson, you will be able to create beautiful and eye-catching patterns from simple drawing or image! 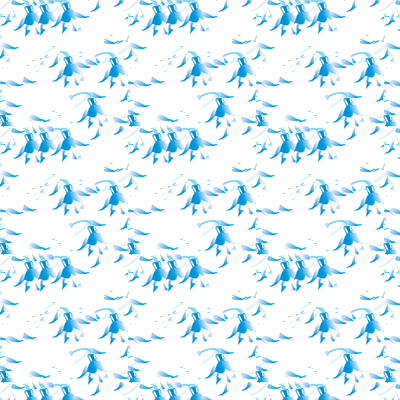 I will use the above image to create a pattern. I'm gonna open this image through Photoshop CS6. Filter > Pattern Maker . . .
As soon as you choose Pattern Maker, you will get this window. Look at the area I've selected as my pattern area. You can choose any area to create a pattern. 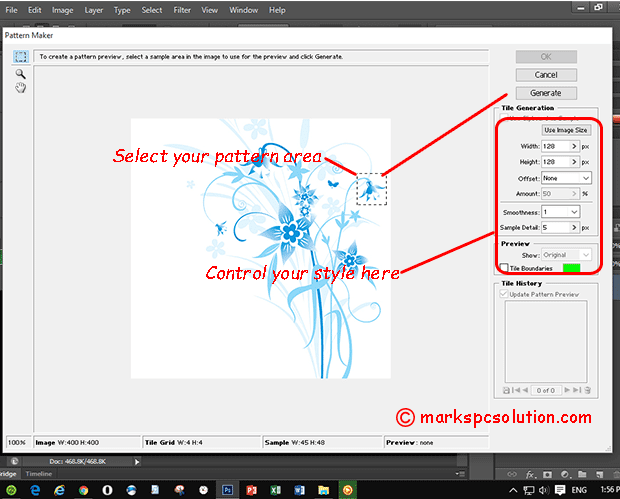 Select your area > Hit on the Generate button > You will get a patter > Hit Generate again to create a different pattern > You will be able to create 20 different patterns. You can also change the values of the options as marked by a rectangle in the image above. Changing the default values will produce much different looks! And this is my output. Open up Photoshop and create a new document of any size. Now draw something randomly. Or create any shape. You can even type some letters. Use a color as you like. 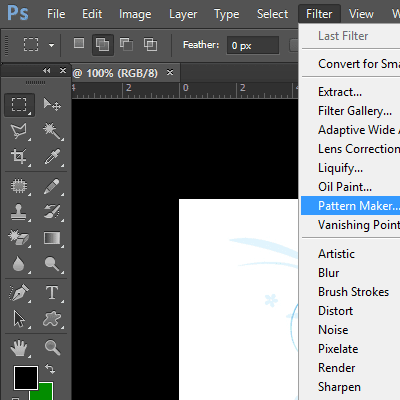 Now hit on the Filter Menu and choose Pattern Maker. Select the area from which you would like to create pattern. Now hit on the Generate button to create the pattern. Use General again option to get different looks. When you're done, simply hit OK. That's it! Hope you will enjoy this tutorial. If you face any trouble, don't hesitate to contact . . . 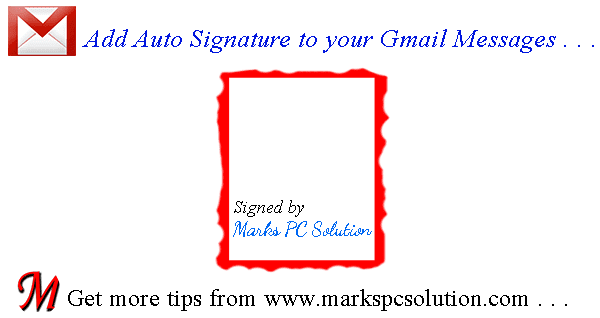 Many of you might be familiar with the Auto Signature feature of Gmail. But you need to add this manually and it requires to be turned on by the user himself. Let's see how to add this . . . When we write a letter to someone, we normally sign at the end of that letter. In case of email messages, signing is not that important. But in case of official email messages, we usually mention our name, designation and organization. But you don't need to do this manually every time. If you type few words (what may be included as signature) in the signature option and enable it, Gmail will do the rest automatically. Sign in to your Gmail ID. Hit on the Settings Gear from the top right corner and choose Settings. Now make sure you're in the General tab. There are lots of options under General. Scroll down and find the option - Signature. By default, No Signature option might be selected. You've to select the next radio button to enable it. Now type few words in the box as your signature. You can articulate your text with the help of formatting options. 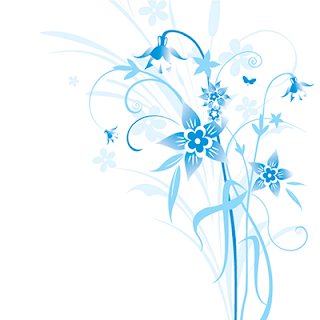 You can also upload image or create hyperlink here. When you're done, scroll down to the bottom. Hit on the Save Changes button. Finally, hit on the COMPOSE button and see the result! 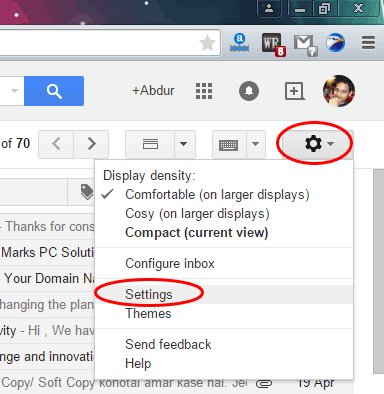 Hit on the following button to directly go to the Gmail Settings . . . Settings > General > Signature > Type your Signature . . . Tips: you can also use your real signature here! Sign on a paper > Scan & upload it as image! Hit on the Compose button to send a new message > Your signature texts will appear as shown below. Hopefully, this tutorial will help you all. 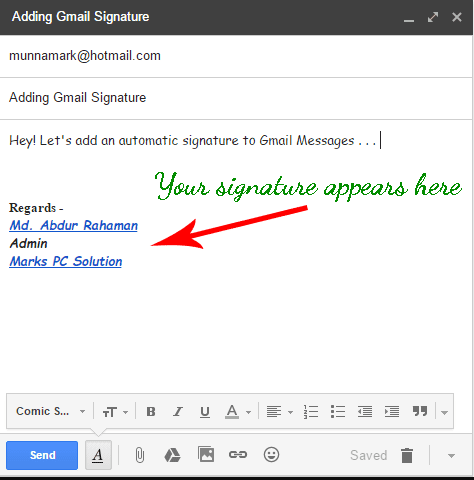 If you need even more stuffs regarding signature option, then follow Gmail Help page . . . 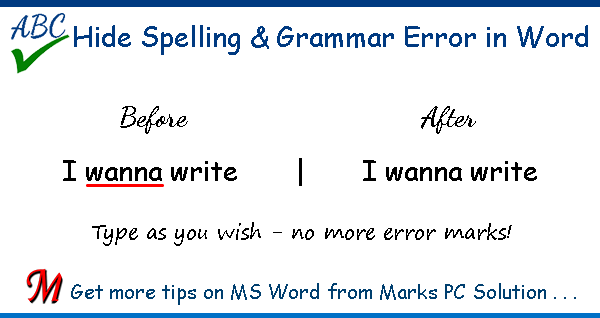 When we type something wrong (typo) in MS Word, either in terms of grammar or spelling, the Spelling & Grammar Checker automatically detects the errors. And then we see a red underline for spelling error and blue underline for grammar error. And that's pretty useful and essential for preparing a correct document. 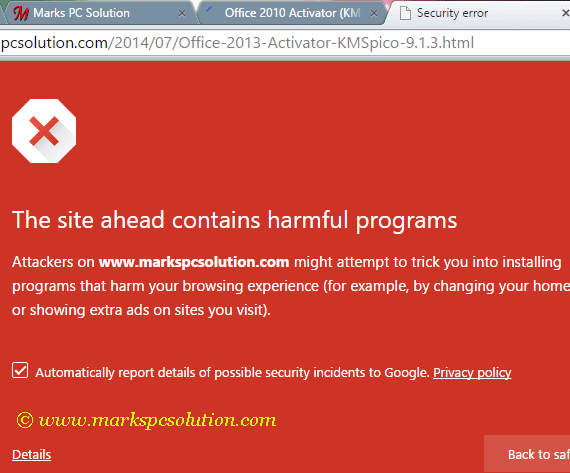 But sometimes, this automatic error detection marks may cause your headache. Maybe you're preparing something which is correct but not supported by traditional spelling and grammar rules. In that time, those error marks (red and blue underlines) look odd. Let's hide them! Hide Spelling & Grammar Errors . 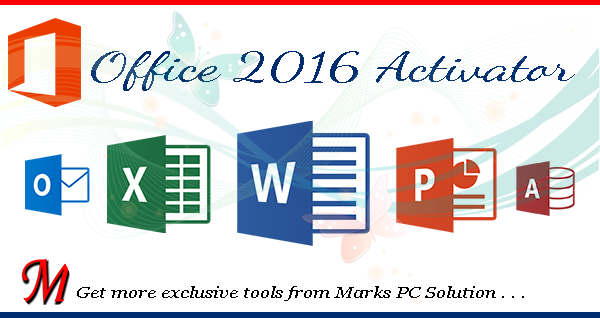 . .
Open up an MS Word document from your PC. Hit on the File button from upper left corner & select Options. 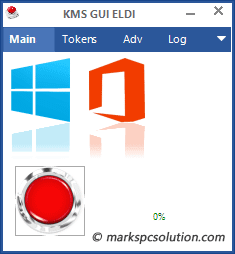 Now choose Proofing option from the left pane. Scroll down to the bottom and find the Exceptions for section. 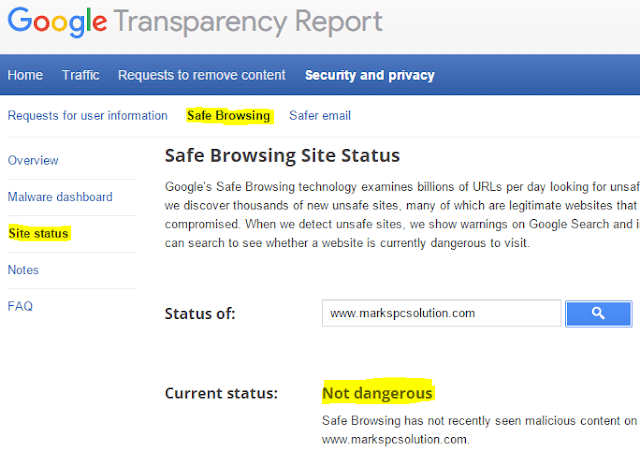 If you wanna hide the errors for all new documents in the future then choose, All New documents. Or simply choose Document 1 or your current document. 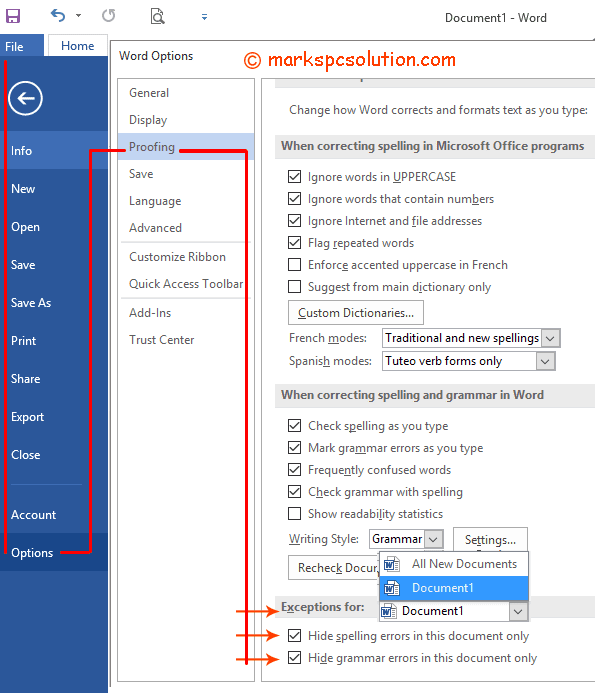 And finally, select the checkboxes - Hide Spelling Errors & Hide Grammar Errors > OK.
And instead of options, you will see Word Options. Rolling Back this Settings . . .
Deselect the checkboxes > Hide Spelling Errors > Hide Grammar Errors. 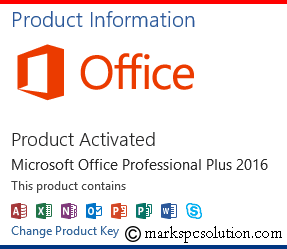 Exceptions for > Choose All New Documents or current document as applies. The title font in the above image is not one that I used as a title font for my site. But it looks cool! That's why I tried to know the name of this font. I tried most of the fonts using MS Word to match it. But this font was not installed on my system. Later I took help from What Font is. 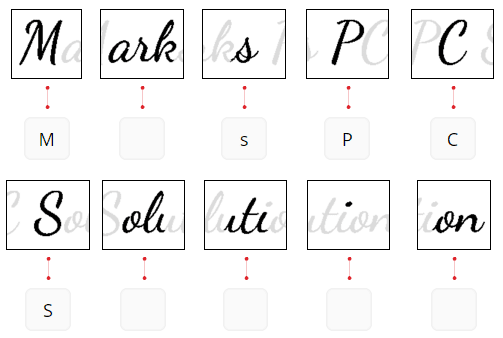 There are thousands of sites across the web which may help you identify the name of a font. But not all of them are good enough. Not all of them are reliable. 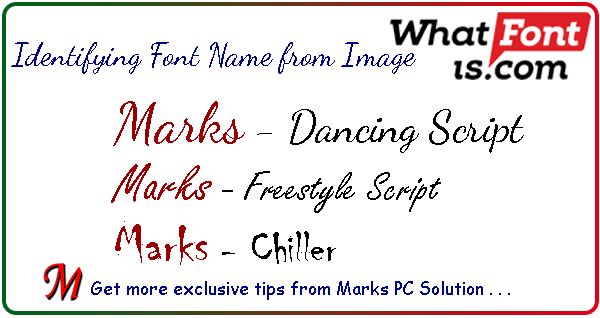 I'm recommending What Font is because I got the result quickly using this site. And it's easy to use. They have more than 300,000 fonts in their database!! First, you've to obtain the clear picture of your text. I've used the above image to prepare this tutorial. 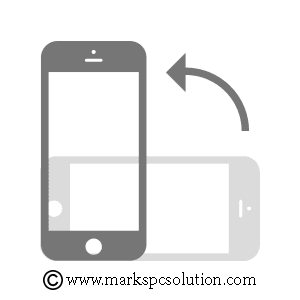 Hit on the Browse button > Choose your text image > If your text background is darker then mark the option Background Color is darker or leave it blank > Hit on the Continue button. After hitting the Continue button, your text image will be divided into pieces according to characters. Check every image and input character. Leave the box blank if there is more than one character in a image. Or if the character is not clear enough in the picture. Hit on the Continue button. Then you will get a list of possible fonts that is matched/ related to your image. Hope all of you will enjoy this post. If you face any trouble, please contact us . . .
Well I think not many Android users are familiar with this exciting feature. And I'm not talking about any third party app. 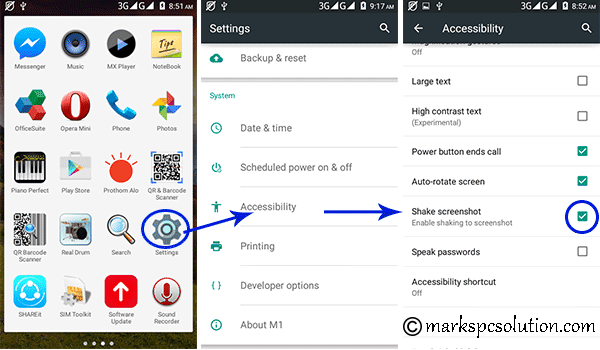 Actually shake screenshot feature was not available in the previous versions of Android. It's really a comfortable way to capture your screen on the go! Very often we need screenshot to save or share something. Sometimes you may need to save a conversation window as an evidence. And most of the time I need to capture my phone screen to make tutorial. Whatever it is, screenshot is essential for us. Traditionally, you can capture your phone screen with the help of power button. Long Press the Power Button > A new Window appears > Choose Screen Capture. To capture a particular area, choose Partial Screenshot > Select your desired area > Save. Requires at least few seconds to capture the screen. And sometimes you may not have that much time. If you're thinking about capturing the window that appears after long pressing the power button, you can never do it! Cause, if you press the power button one more time, that window will disappear. Shake Screenshot - A smart way to capture . . . It's been added as a new feature in the accessibility option of your Android Phone. I've discovered this feature on Android 5 Lollipop. When you need to capture a screen that appears for a short time (i.e. 1/2 seconds) then you must use this shake screenshot feature to capture it. From the home screen, tap on the Apps button. Find and tap on the Settings button. Scroll down > Tap on the Accessibility option. Mark the option - Shake Screenshot. Press the Home button to back to the Home screen. That's it. Let's test the new settings! Quickly rotate/shake your phone clockwise or anticlockwise. If the settings is okay, you will hear a click sound and a snapshot will be captured. 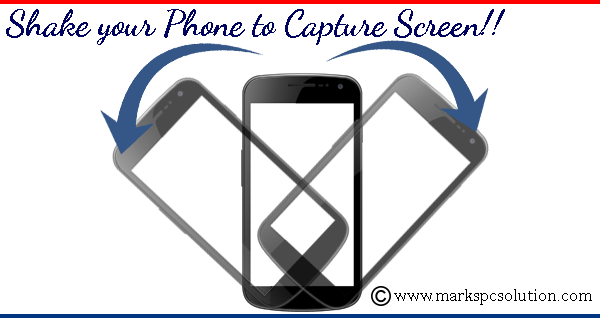 Now get your captured screen from your Screenshots folder. Screenshot location may vary depending on your phone. I use Symphony M1. Operating system is Android 5.0 Lollipop. If your default disk is phone storage, then screenshots might be saved on Phone Storage. Hope all of you will enjoy today's tutorial. If you face any trouble, don't hesitate to knock . . . In my last post, I shared the APK of Temple Run. In this post, I'm gonna share another popular game - Highway Rider!! 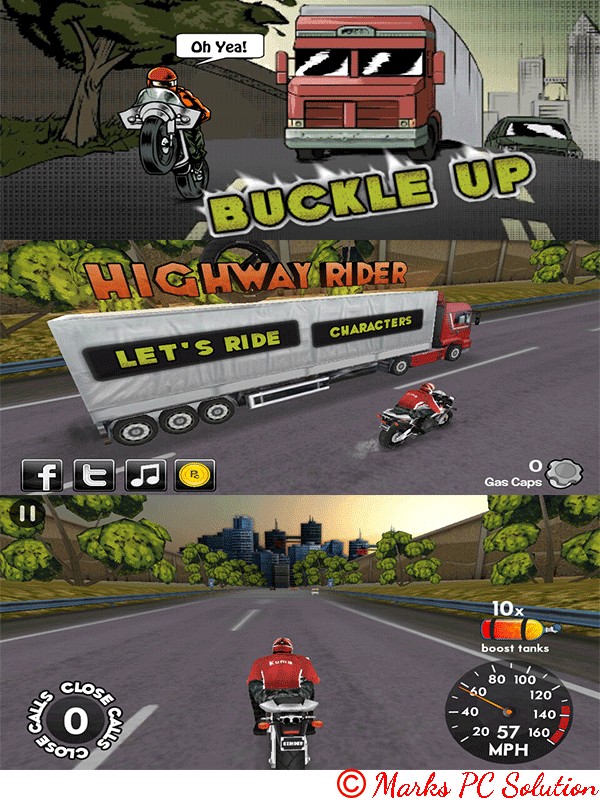 It will be really difficult to find someone who uses an Android phone but never played Highway Rider. Presented by: Battery Acid Games, Inc.
Hopefully this game is compatible with almost all running versions of Android Operating System. And it's been tested on Android 5.0 lollipop too! So you will face no problem running it on your Android Phone. Download the Game . . .
Download the game from here. It's directly usable if you download via phone. If you download through a PC, then copy the APK file to your phone storage. Install & Play the Game . . . Locate the Highway Rider APK file in your File Manager. Hit on the Install button. Wait couple of seconds while your system installing it. Hit on the Open button to start the game. That's it. This is one of the most addicting games. And it's really easy to play. You can play this on your Android phone or tablet. Don't hurry - try to survive. You will score more. Try to be steady and stable. While passing through a vehicle, keep closing slowly. If you're looking for a newer version of the Highway rider, then get this from Google Play . . .
Hope all of you will enjoy the ride . 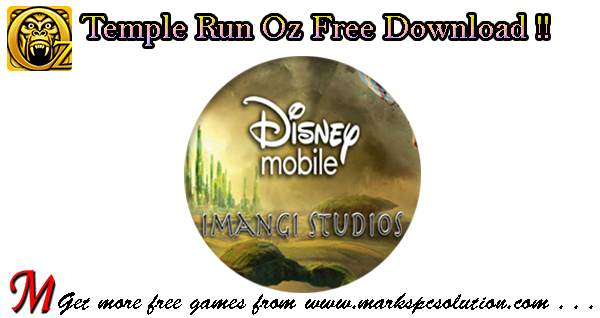 . .
Today I'm gonna share Temple Run Oz (Apk File) for Android users without any charge! It's been a popular game since the beginning of the Android OS. And I also play this game very often. Hopefully this game will work fine with all running versions of Android OS. And I've successfully played this game on Android 5.0 Lollipop. 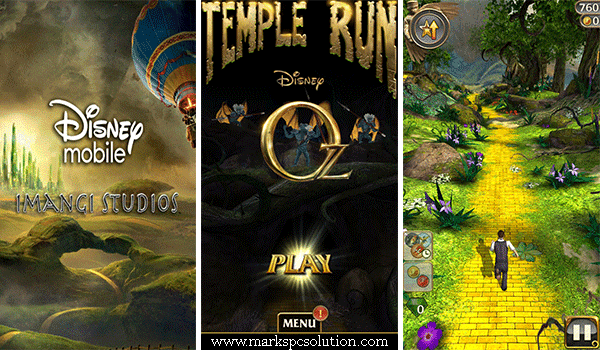 Most of the smartphone users are familiar with traditional temple run game. But Temple Run Oz is really amazing. 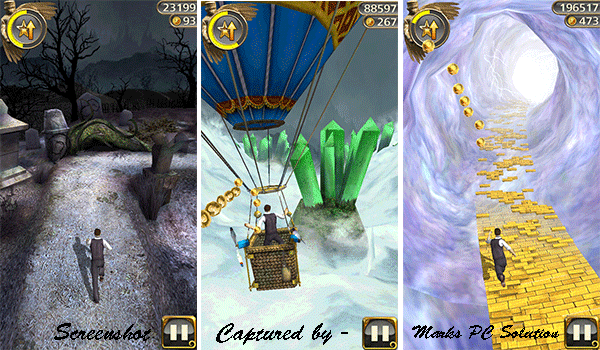 In terms of graphics and features, it's much better than Temple Run 2. I don't know how many levels are there. But I've been able to reach level 17 so far. And there are lots of options like coins, new areas, points which can't be expressed in this blog post unless you play. Download the game - Zipped File or Unzipped File. 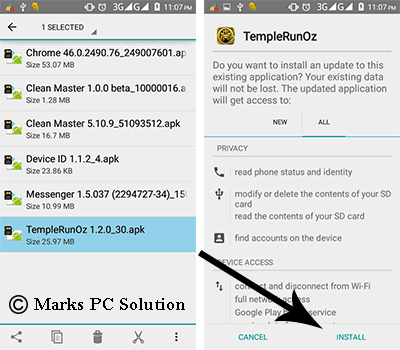 Copy the file TempleRunOz 1.2.0_30.apk to your phone memory. If you're downloading through PC, you can download any file. If you're in Mobile, download the unzipped file. Otherwise you will face problem extracting the file. Installing the Game . . . Installing this game is as easy as downloading. Hope your phone is turned on. Close all unnecessary applications to reduce the installation time. Locate the Temple Run .apk file from your File Manager. Let your system finish the process. Playing the Game . . .
After successfully installing the game, you should be able to locate the game icon in your app list. Hit on the icon to start the game. Enjoy . . . Explore it . . . Collect more points, score higher and thus you will be able to run in the new areas of the game i.e. Dark Forest. Try to response faster and swipe in due time. When you are about to turn left or right, do it little earlier. Hope you all will enjoy this game . . .